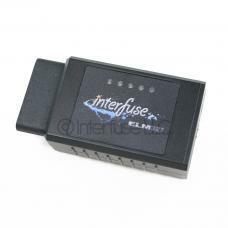 The ELM327 Bluetooth adapter will scan your vehicles ECU for trouble codes and sensor data. Works great with Torque for Android and is compatible numerous software applications for Windows. Compatible with OBD2 compliant vehicles. Vehicle Compatibility Most vehicles built after January 1, 1996 are OBD2 compliant. Depending on the make and model of your vehicle It is best to check under your hood (look for a sticker that says OBD-II Compliant) or under your dash to verify this before purchasing an OBD II unit.